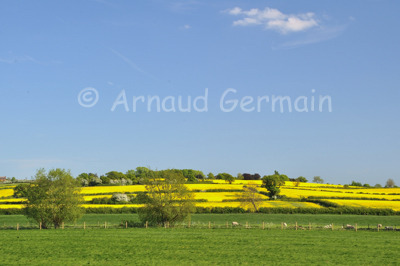 I had always wanted to take a picture of the colza fields in spring time in the UK. As I was going to Twycross Zoo on a regular basis, I knew there were beautiful fields on the rolling hills. I took this picture between Nuneaton and Twycross.